Very interesting. 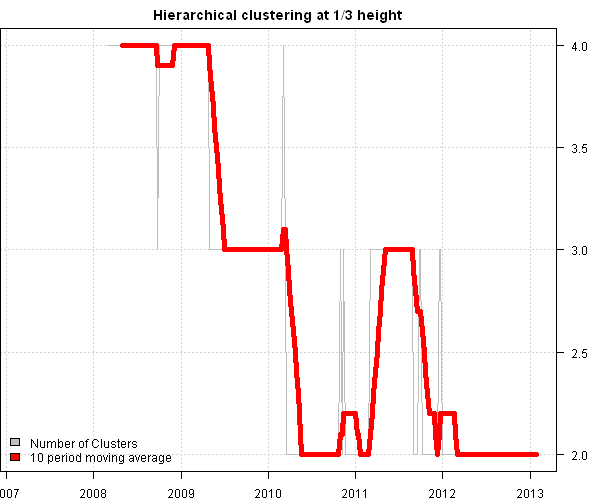 I entered the DJI 30 stocks and compared the Hierarchical clustering at 1/3 height results to the historical DJI. 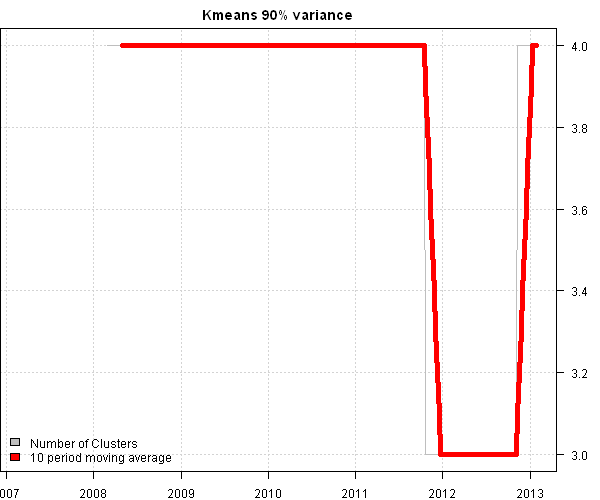 The two plots tracked closely to each other until July 2011. 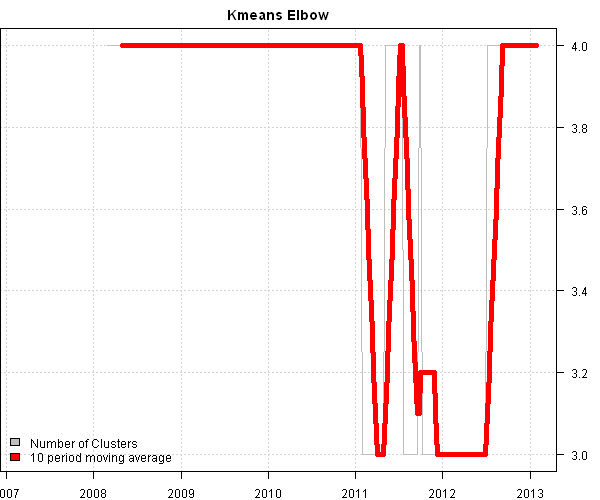 They are now sharply diverging.